I mentioned this past weekend that I was able to go to garage sales. Here are a few finds. Love this bingo set. 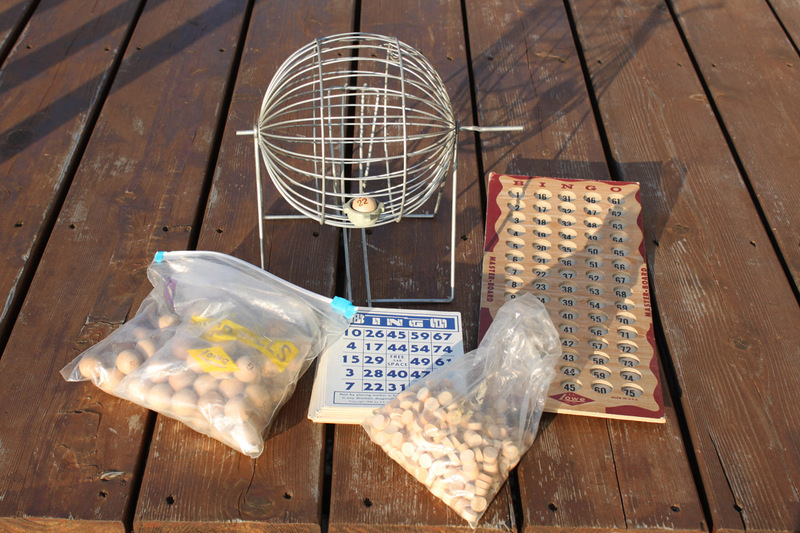 I see boxed Bingo sets from time to time, but rarely one that has the cage. So cool. I love finding train cases. Such history come with them. 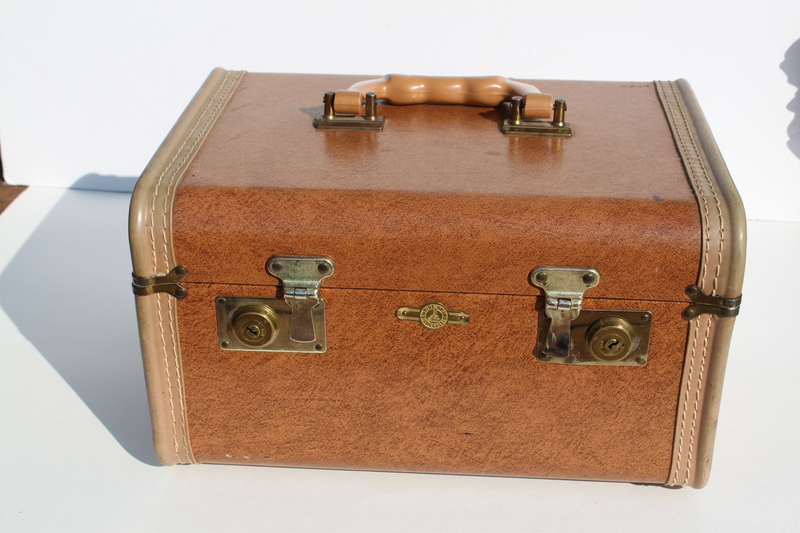 This brown train case even has a key. 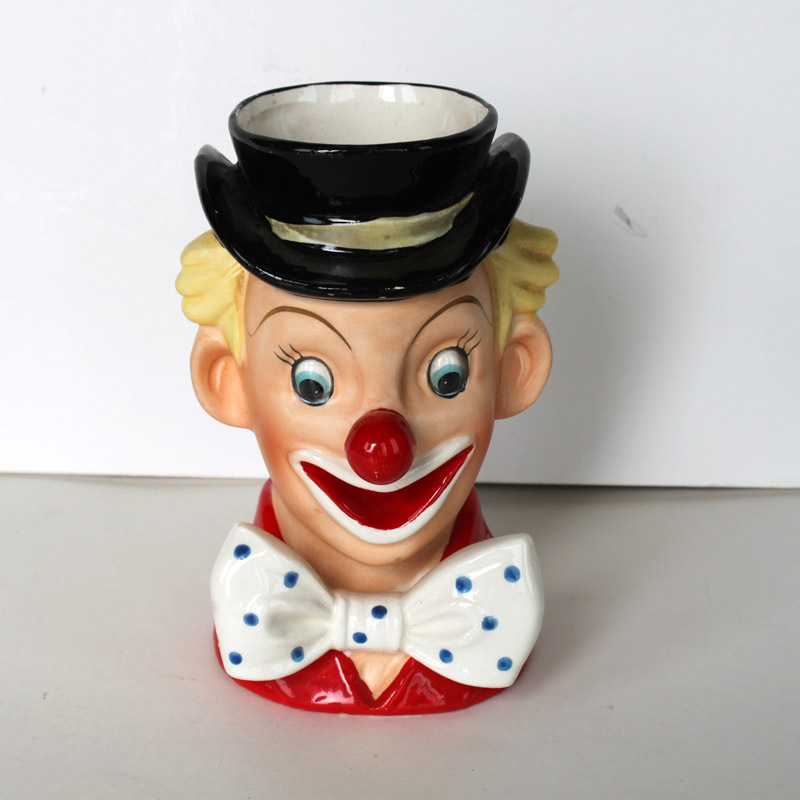 Along with the lady head planters I found this clown face planter. I don’t think they are very valuable, and I normally don’t like clowns. This one makes me smile. 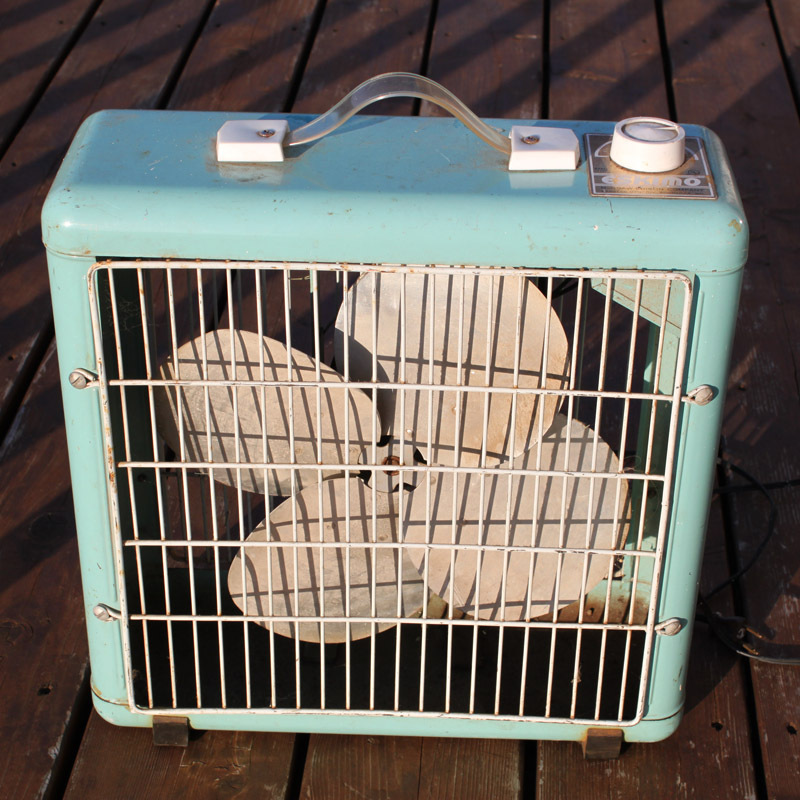 I remember when I was young we had a box fan. Yep, they were dangerous, but they sure were fun to sit in front of and hum or make sounds. Loved hearing it echo back to me. 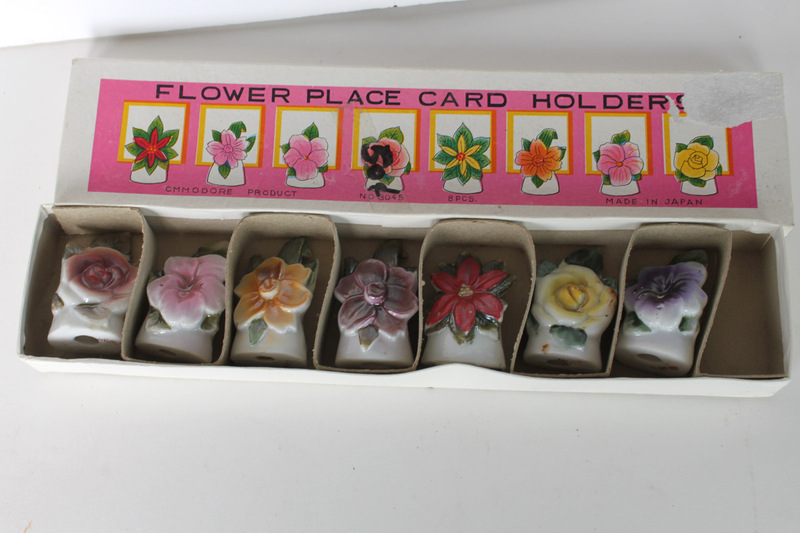 I saw these flower place card holders for $.25. They could add a little color to a table. I continue to pick up gold magazine racks. 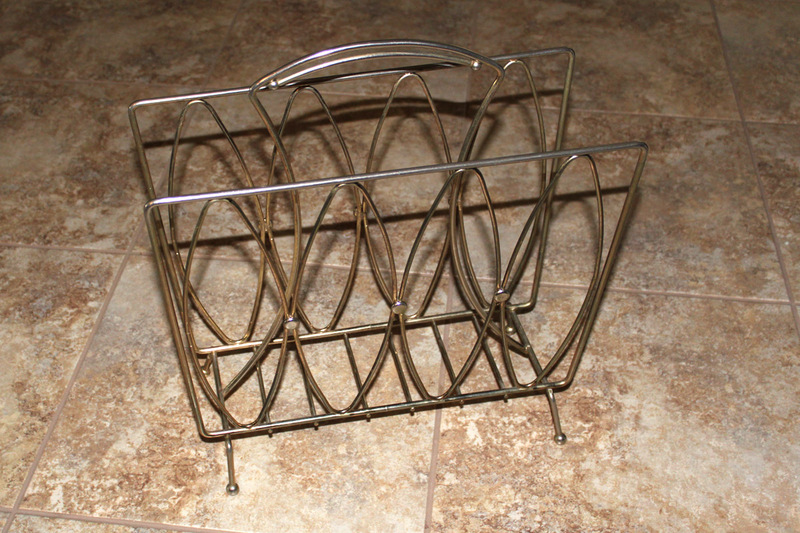 This magazine rack looks to be from the 1950s, but I am not sure. Still have research to do. What is it with squeaky toys. I am not sure why I like them. 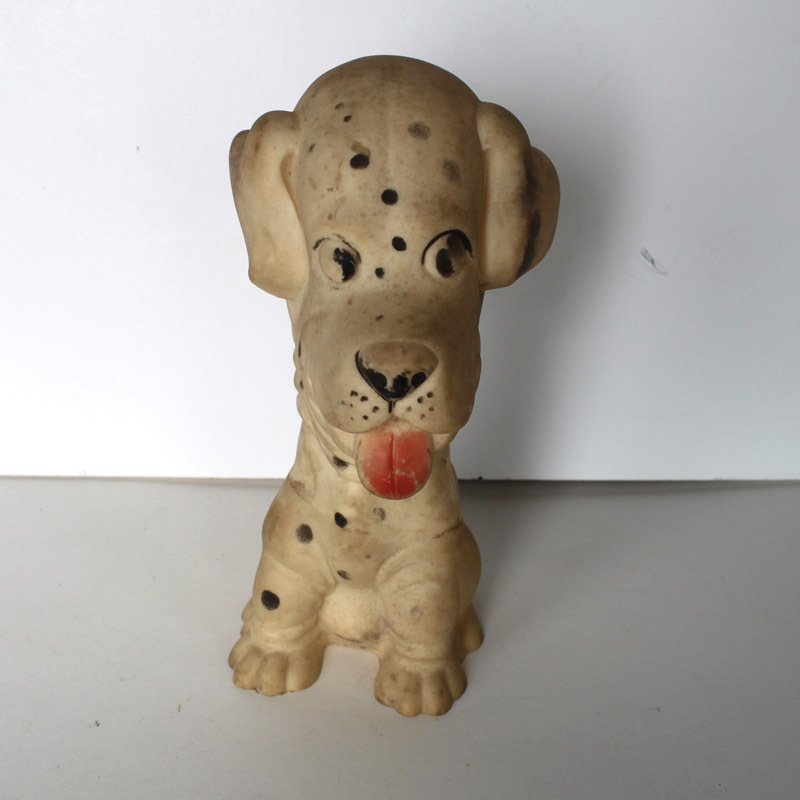 But this dog was just $.25, so picked him up too. 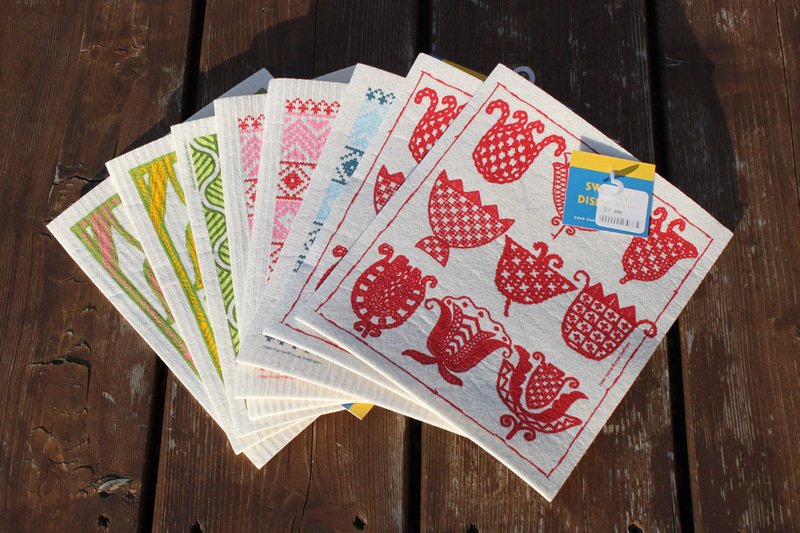 Finally I bought these 8 Swedish Dish Cloths that are brand new. Wondering if you have ever tried them. They state they are super absorbent. Wondering if that is true? This entry was posted in Junkin' Pickin' Finds and tagged bingo, box fan, clown face planter, magazine rack, place card holder, squeaky toy, swedish dish cloth, train case by Karen Grosz. Bookmark the permalink. That clown is really cute!! I thought so too. Sometimes they are rather scary, but not this one.